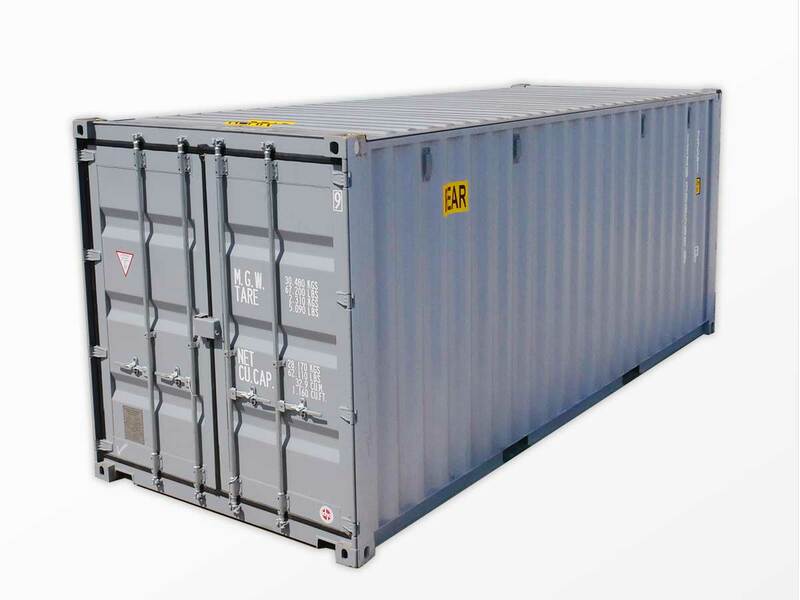 Interport’s versatile 20-foot double-door shipping containers feature doors at both the front and back of each unit for easy access to store, retrieve, and sort goods or materials. Our 20-foot double-door shipping containers can be modified in many ways, such as adding a partition to create separate spaces for storage or offices or to create a pair of retail kiosks. 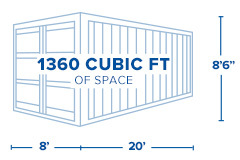 Interport’s 20-foot double-door shipping containers can also be loaded with high-density product and still remain within weight limits. Length: 20ft. Length: 19ft. 1in. Width: 7ft. 6in. Gross: 67,197 lbs. Width: 8ft. Width: 7ft. 7in. Height: 7ft. 4in. Payload: 62,391 lbs. Height: 8ft. 6in. Height: 7ft. 8in. Tare Weight: 4,806 lbs. Length: 19ft. 1in. Width: 7ft. 7in. Height: 7ft. 8in. Gross: 67,197 lbs. Payload: 62,391 lbs. Tare Weight: 4,806 lbs.